These pages will be used for the kind of content which in Victorian magazines would have appeared in "essays" - though my intention is not to reproduce essays in full. There are very well established websites which already do that. I want, instead, to give samples, extracts, and summaries which I hope will provide ideas for further research or discussion for those who have already done some work on a topic, and a taste of things to come for those contemplating joining a course. Apart from those titles devoted entirely to fiction, essays on every conceivable topic were a staple ingredient of general periodicals. They were the ancestors of our modern magazine articles. Middle-brow journals aimed at the expanding middle-classes often sought to emulate the serious reviews - at least in some of their content. So whilst they might not expect their readers to enjoy an erudite philosophical or religious treatise, editors seem to have thought biographical sketches, accounts of explorations, and popularizations of scientific or economic topics would prove attractive. Over time sub-genres emerged - the travel article, the "Celebrity at home" interview, the "Inside View of .. " almost anything from a newspaper office to a Royal yacht or a prison. Today we associate high quality Victorian illustration with fiction or poetry - Millais and Trollope in the Cornhill for instance, - but other genres were illustrated. This was particularly the case with genres like biography and travel where publishers found it relatively easy to acquire existing wood-cuts or plates of appropriate landmarks and portraits, rather than going to considerable trouble and expense to commission artists and engravers. 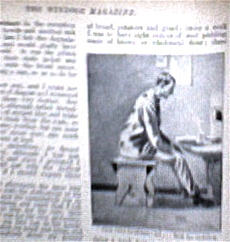 By the 1890s new technologies made reproduction of images cheap enough for magazines to fill their pages with pictures, though quantity was often gained at the expense of quality. 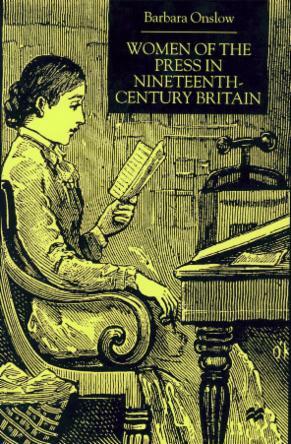 In the final decades of the nineteenth century both men and women journalists sought to professionalize their work, by advocating formal training and forming professional associations. This coincided with an increasing desire on the part of young men to consider a wider choice of career than simply following in father's footsteps, and a recognition that many young women too, from classes where once marriage or governessing were the only options, would also want to work. Articles on training for different jobs and accounts by practitioners of what their work involved proliferated in magazines. Journalism proved a popular example, and, naturally not too difficult for any journalist to research! For examples of some successful Victorian women journalists and a note on the Graphic see Introduction on the Ladies' Page. *Above: An 1890's bicycling costume. Bicycling was a hot topic in the press of the nineties, and one of the key icons of the "New Woman". For more on Bicycling costume see the article on Rational Dress on the new Fashion Page. The "Miss Harris " of journalistic enterprise. And apes the man in word and thought? And otherwise acts like a clown? Who's sweetest of the sweet, I say. Is always ladylike, yet gay? *This sign indicates a paragraph or image you may have accessed from a link on the Contents Page. Occasionally there may be more than one such item on the same page.